Econobum One-Size Cloth Diaper Covers will fit perfectly over fitted cloth diapers, Chinese Prefolds, Indian Prefolds or the new One-Size Econobum Prefolds. 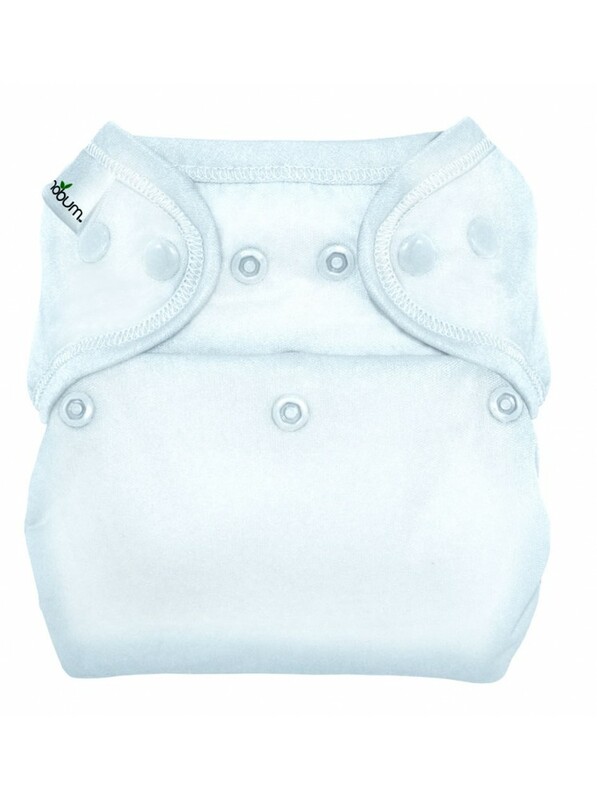 The three step rise on the Econobum One-Size Cloth Diaper Cover adjusts from a small, to a medium and fully unsnapped, a large. High quality materials go into every single product created by Cotton Babies. 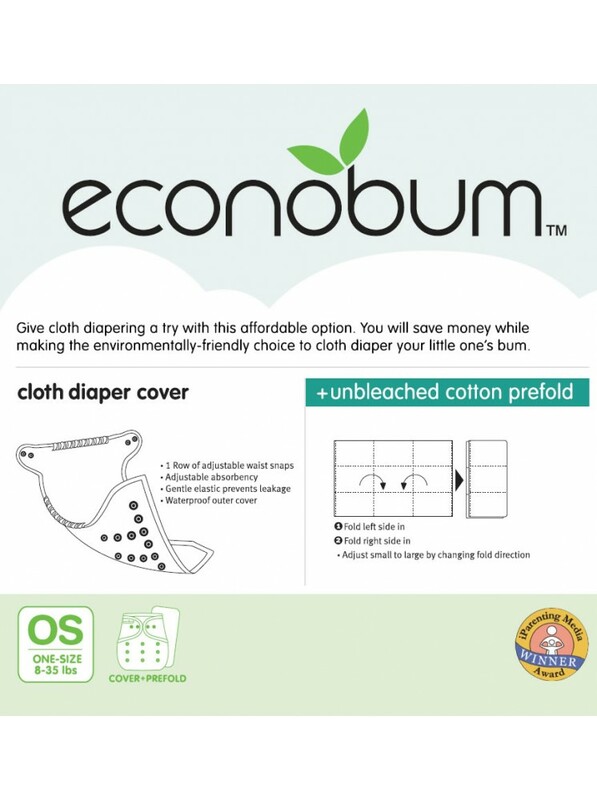 Econobum is made with the same great waterproof fabric, snaps and elastic used in products like bumGenius and the Flip Diapering System. Do you have several children in diapers? 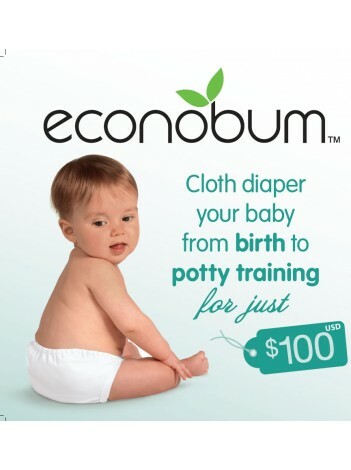 Econobum is perfect for you! The adjustable cover will fit multiple babies. Econobum prefolds are 100% unbleached cotton. They wash up and dry in a snap. Worried about cost? Econobum combines high quality, conscientious manufacturing and intelligent design (ie: great fit) for an amazing, low priced, ethically-made product. You won't find that anywhere else. Wash: Use laundry tabs if available. Pre-wash cold. Wash hot (100F/40C). Extra rinse. No laundry additives. Line dry cover. Tumble dry insert. No fabric softeners. Use ¼ cup or 60 mL bleach in the hot wash once per month.